Each year, the ASA conducts a survey of all the CA3 anesthesia residents to gain insight into the job prospects of these graduating seniors. This month's ASA Monitor has the results of the latest poll. It is based on emails the ASA sent to the residents from May, 2016. Of 1,585 residents with email addresses the ASA had on file, only 122 responded back. So obviously it is a very small sample size and may not be completely representative of the entire class. At the time of the survey, 97% of the residents already had jobs lined up. Of those going into private practice, a majority of 55% were heading for jobs with partnership track. Only 13% took jobs in academic institutions. 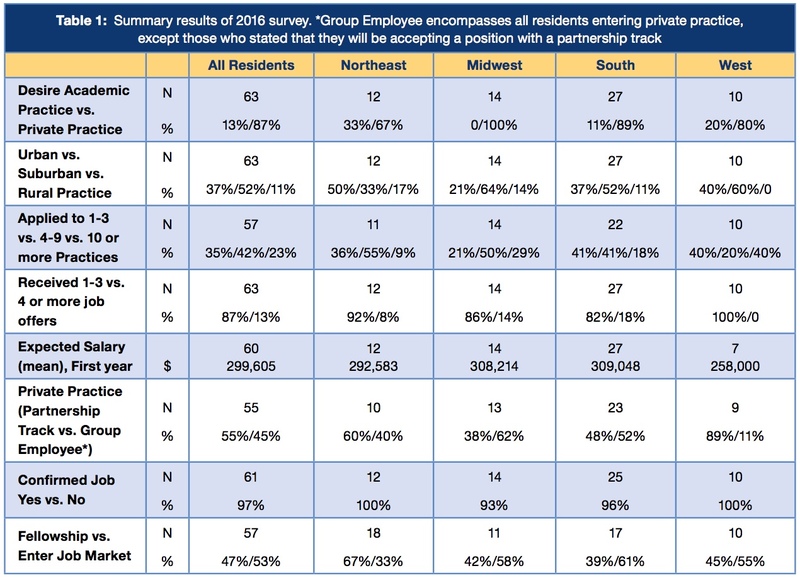 Most of the residents applied from 4-9 job positions and received offers from 1-3 locations. The mean starting salary was $299,605. This compares to $289,036 from the class of 2015. The most important factors in determining their job preferences were: geography, job description, and of course, money. A large minority of 47% said they would be starting a fellowship instead of going directly into the job market. The reasons most often cited for doing so were their interest in the subspecialty and improving their job prospects. The most popular fellowships were cardiothoracic, pediatric, pain medicine, and critical care. Interestingly nobody in the survey said they were going into OB. 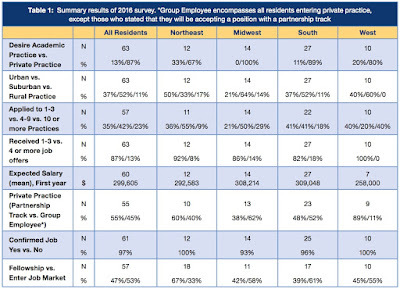 What kinds of private practice jobs were the residents starting? About 55% were going into a partnership track. Only 13% were going into jobs without partnership track. Another 20% were starting as hospital employees, like an HMO. 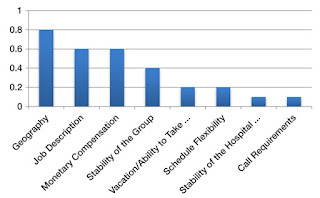 Only 12% were going to work for an anesthesia staffing company. Over the last three years, the number of graduates becoming hospital and staffing employees has been trending up. With 97% of graduating anesthesia residents finding jobs, it looks like the job prospects for newly minted anesthesiologists are still decent. However, it appears more are seeing the appeal of working for the Man instead of working for themselves. Perhaps the uncertainty of Obamacare and onerous rules to get reimbursed from insurance companies is starting to catch up with the new physicians. As hospital systems and insurance companies merge and become increasingly monopolistic, maybe this is the canary in the coal mine and points to the future of anesthesiology.